Thousands of people have been evacuated from flood-damaged homes in northern Gaza. The United Nations and Gazan officials are talking of a humanitarian crisis. The flooding, caused by days of torrential rains, has been so severe that many homes could only be accessed by rowing boat. The Gaza Health Ministry says one person has been killed and score of others injured as flood waters damaged poorly-built homes in the coastal territory. The government also says schools and other centers have turned into temporary shelters for thousands of homeless Palestinians. The deadly deluge has added to the woes of Palestinians in the coastal enclave, which continues to suffer from electricity cuts, a sewage crisis, and drinking water shortages-- all under a crippling Israeli blockade. HI Agha Jawad Naqvi urges everyone to please help the people affected by the flood in Pakistan. The US has launched two drone raids on Pakistan's Flood ridden areas. This as the US sends a thousand marines to Pakistan, allegedly to "help with aid efforts". This is an Extract from 1st Lecture on Falsafa-e-Roza (Daily Lectures in Ramadan) by Syed Jawad Naqavi, Kindly visit http://www.islamimarkaz.com/video/2010Ramazan/FalsafaERoza/01.wmv for full lecture. In this clip Agha Syed has made very good suggestion for helping flood victims in Pakistan. Must watch. 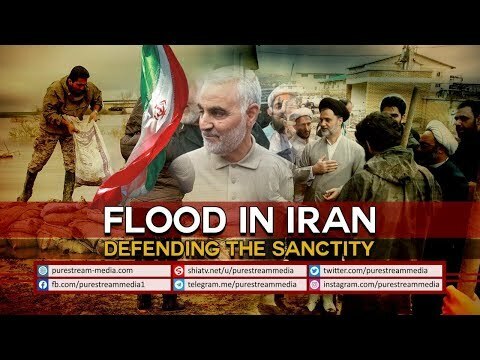 Bad situation in Pakistan due to flood and efforts of MWM are mentioned in this short video. MWM is helping many innocents regardless of their religion, sect, region, creed, or language. This video has been made by the supporters of Majlis Wahadat Muslimeen. Flood Relief efforts by Muhammad Ali Welfare Association (MAWA) Pakistan. Help the flood victims of Pakistan! The magnitude of disaster is greater than Tsunami and Haiti. Brother Yahya Naqvi reciting some poetry on the event of fundraising dinner for flood relief efforts in Pakistan. Heavy rains caused widespread flooding and landslides in Yajiang County, southwest China on Wednesday. Footage from state broadcaster CCTV showed torrents of water flooding roads, fields and villages in the area. Several people were seen being evacuated to safety by the emergency services, as cars were swept away by the flood waters. A new study says up to 20 million people could be at risk if vast areas vital for growing rice are swamped by seawater. More than 500 people have been killed in Pakistan over the last three days during floods triggered by monsoon rains. Thousands were left stranded as emergency services struggled to reach remote villages. Nearly 400 thousand have been displaced so far and the provincial government has declared a state of emergency. The torrential rains are expected to continue over the weekend.